Parker Mills LLP is pleased to announce that Bradley W. Jacks has joined the firm as senior counsel. Br ad concentrates his practice on professional malpractice (primarily attorneys, but other professionals as well), business and commercial litigation, personal injury and product liability litigation (including catastrophic injury and wrongful death cases), malicious prosecution, partnership disputes and insurance coverage/ bad faith litigation. 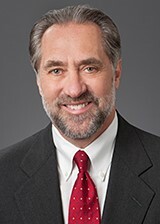 He has over 35 years of legal experience, including serving as lead counsel in more than 350 complex actions involving attorney professional liability. For Brad’s full bio, click here.